Faux Bois is a fancy way of saying “fake wood”. 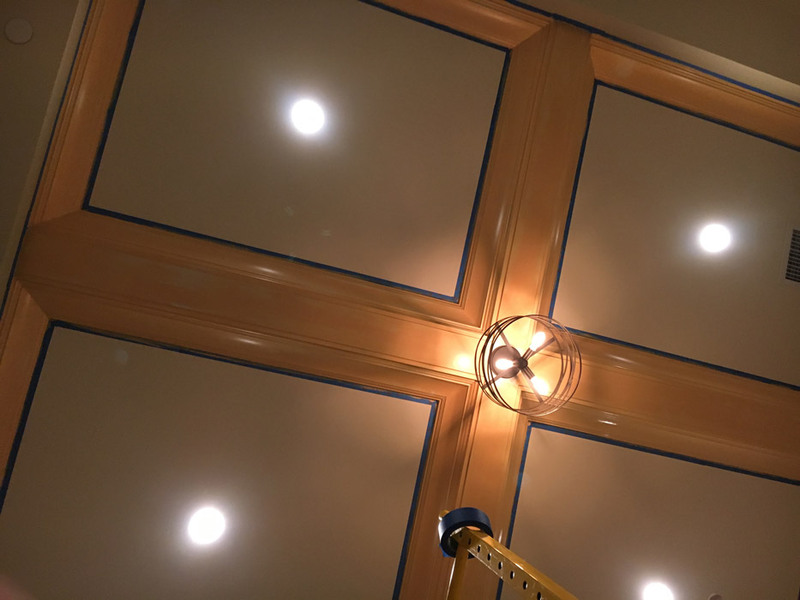 There are so many ways to use this technique but a very common request comes from homeowners that want their white ceiling beams looking like a particular wooden beam. If you have wood molding or beams that are an undesirable color I can paint them to look like a beautiful new wood. 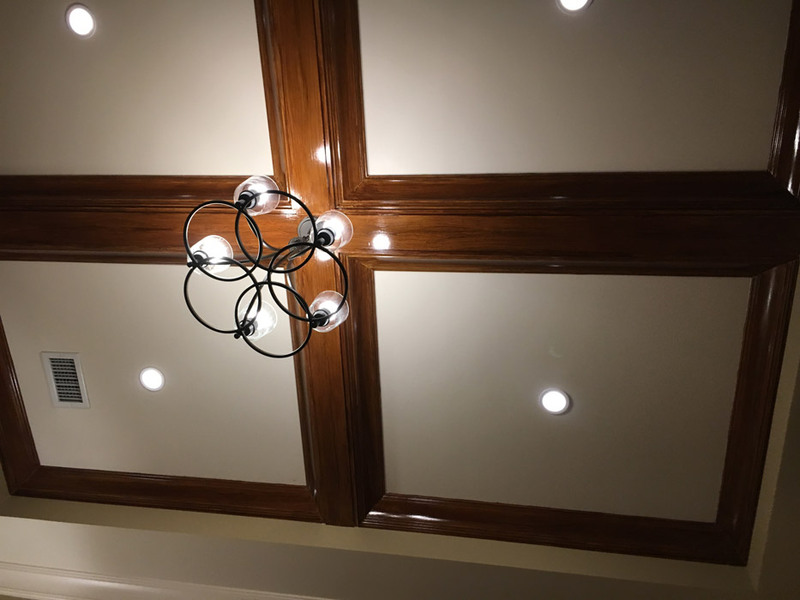 For example in the photos you will notice some beams that were probably milled from poplar which is a common milled lumber used for interior trim. 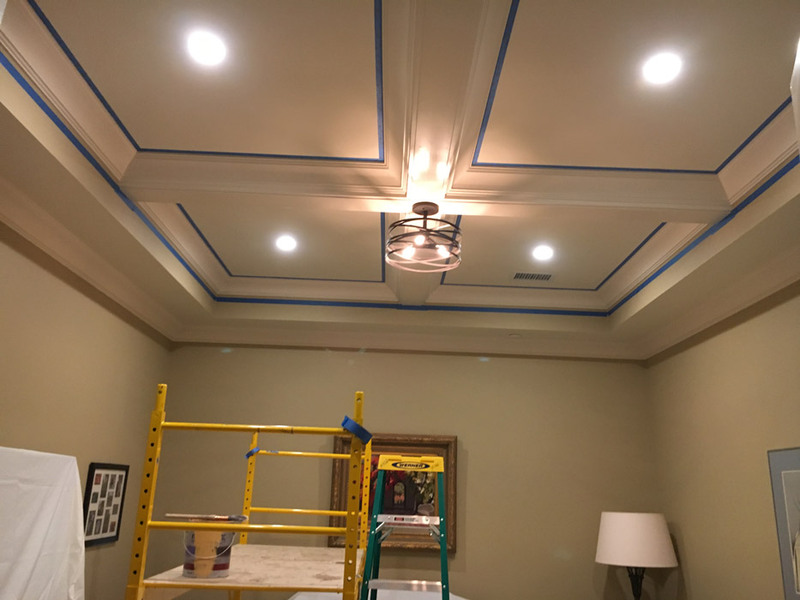 But these beams usually get painted a solid trim color. In this scenario, my client wanted a simple walnut colored beam. The beams were painted white. I carefully tape around the beams and then put a first coat of color. This is a background color or undertone that I use when graining walnut or mahogany. The key is to let some of the color show through as wood has many variations and undertones. I use either an oil or latex glaze medium and add pigment. Then I start the graining process once piece at a time. Finally I finish the faux Bois with a clear semi gloss coat of varnish so the faux wood grain looks like the “real thing”. This is a great way to have the beautiful finish you hoped for without having to tear out the old beams. For more pictures visit the Faux Bois project page.